If you haven’t yet gotten on board the Bitcoin cryptocurrency craze then now is the time. If you’re still not sure how it works, here is the lowdown. Bitcoin is an open source digital currency that works peer to peer with no centralized bank in place. The growth of Bitcoin is astronomical with thousands of bitcoin ATMs across the world. 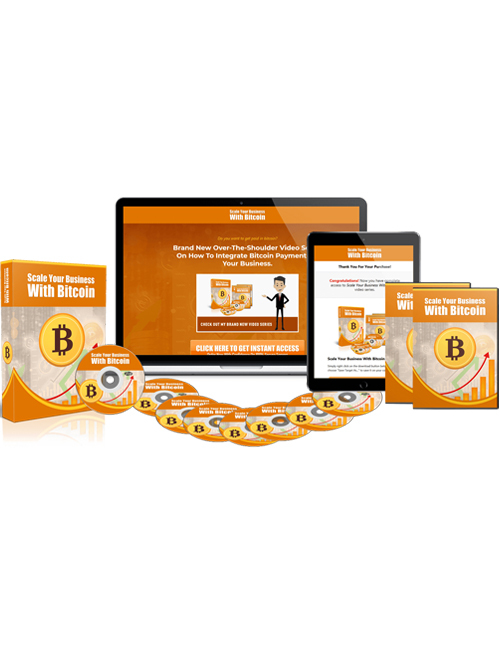 In this 20 part comprehensive video course, you will learn about the Bitcoin craze and how to make it work for your business. You’ll discover how to use it in conjunction with Stripe and Bitpay, how to integrate it with your business and your autoresponder, how to create products and coupons while accepting Bitcoin for payments, how to develop an affiliate program and grow your business, how to eliminate cheaters, how to shift your business to Bitcoin and much more. With over an hour of information at hand in this video, you’ll be all ready and set up to take your business to new heights with the power of Bitcoin. When you’re ready to rock your business with Bitcoin, grab this video course.